HRANA – Despite the passage of more than three months since the widespread closure of Baha’i businesses and shops in Mazandaran province, the provincial Attorney General, who is the key decision-maker on this issue, has caused confusion amongst Baha’is of Mazandaran Province through conflicting positions and statements, while perpetuating neglect and lack of attention to the difficult situation of Baha’is who are pursuing justice and the reopening of their businesses. 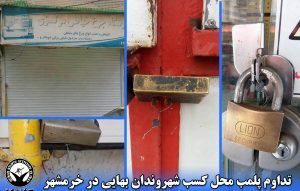 According to HRANA, the news arm of Human Rights Activists in Iran, over 100 days have passed since the widespread and simultaneous closing of 94 business units belonging to Baha’is in Mazandaran. 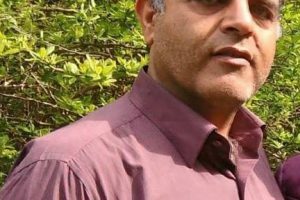 During this time, the Attorney General of Mazandaran, Assadollah Jafari, has issued contradictory statements regarding his role in the closure and sealing of the businesses of Baha’is. The First Topic – According to several of the Baha’i business owners in Mazandaran whose businesses have been sealed, over the first few days following the closing of the businesses, provincial Attorney General Jafari responded by saying: “I personally signed the order to seal Baha’i business and trade units and officers of the Office of Private Property are merely carrying out my orders.” He also said that Baha’is were planning propaganda against the regime by closing their businesses on Baha’i religious holidays. This was the reason for preventing the cases regarding the closure of the Baha’i businesses from reaching the court, or from being addressed by the courts. At the same time, a warrant signed by provincial Attorney General Jafari was located in the district attorney offices of a number of cities. This warrant contained orders to seal any Baha’i business that closes their shops on the 1st and 2nd of November. In another letter addressed to the Deputy Intelligence and Security Offices of Mazandaran Province, it was stated that Baha’is take orders from Israel, that they intend to disturb the security of the province, and that that was why it was requested that if they close their shops and businesses on their religious holiday on the 1st and 2nd of November their business units were to be sealed. Under Article 32 of the Code of Criminal Law, management and oversight of the judiciary is up to the prosecutor. Also, according to Clause 1 of Article 28 of the Law on trade, the closure of any trade unit must be done with the knowledge of trade unions, and the Office of Private Property is the executive liaison to the unions. 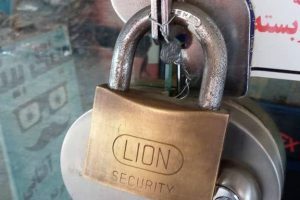 The unions said that they had no knowledge of the reason for the sealing of the Baha’i Businesses in Mazandaran and they had no role in these closures. 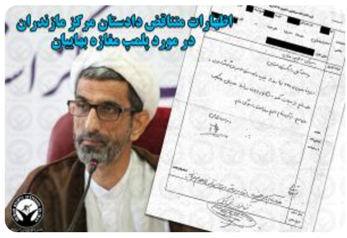 It should be noted that in March 2012, the European Union imposed sanctions on Attorney General Assadollah Taghavi for human rights violations, include some against Baha’is in Mazandaran.